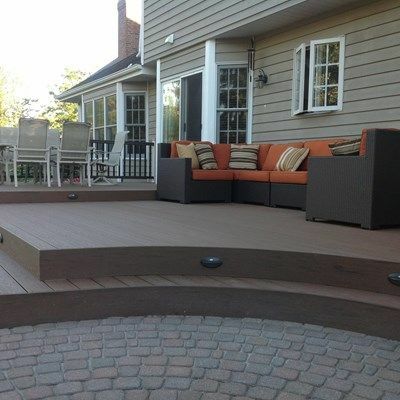 This is a TimberTech deck with 2 levels and a cut out curve to follow a round brick patio. 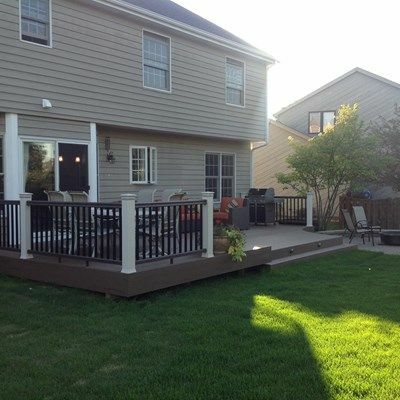 The decking is TimberTech Terrain (brown oak) with TimberTech Radiance Rail. 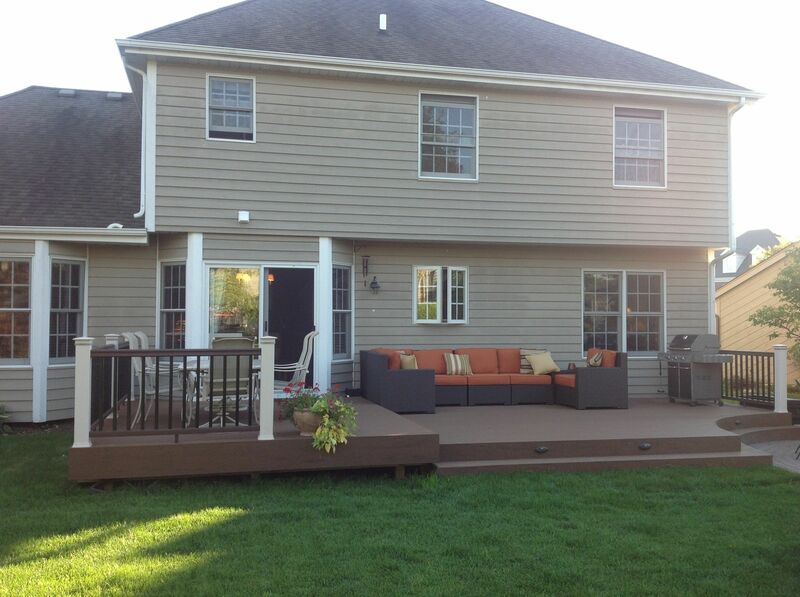 The deck contains TimberTech post light modules and TimberTech riser lights.